Udhampur, Feb 7: Northern Army Commander Lt Gen Ranbir Singh on Thursday conferred 91 Gallantry and Distinguished awards here at the Investiture Ceremony. Lt Gen Singh presented the Gallantry as well as Distinguished Service awards to the officers, other ranks and next of the kin. 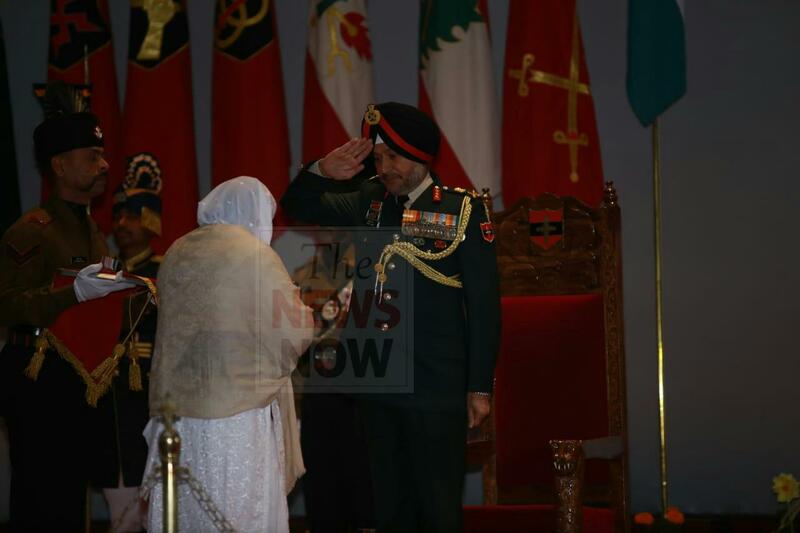 During the ceremony, the Army Commander presented one Bar to Sena Medals (Gallantry), 76 Sena Medals (Gallantry), seven Sena Medals (Distinguished) and eight Vishisht Seva Medals. Posthumous appreciation to 20 units were also awarded for their overall outstanding performance in the Command Theatre in the year 2018. The list of awardees also included Lance Naik Nazir Ahmad Wani, who has been awarded the nation's highest peace time Gallantry award, 'Ashok Chakra's', on Republic Day in national capital. Nazir Ahmad Wani was conferred with Bar to Sena Medal (Gallantry) which was received by his wife. The Army Commander commended all ranks of the Northern Command for their steadfastness, devotion and patriotic fervor. He specially complimented the parents and families of award winners for having supported them in their endeavours. He also exhorted all ranks, ex-servicemen, civilians and their families to rededicate themselves to the cause of the nation. Regional President Army Wives Welfare Association (AWWA) Northern Command felicitated the next of kin of posthumous awardees, reassuring them of the unstinted organisational support.